Back in April, I decided to change up my skincare. 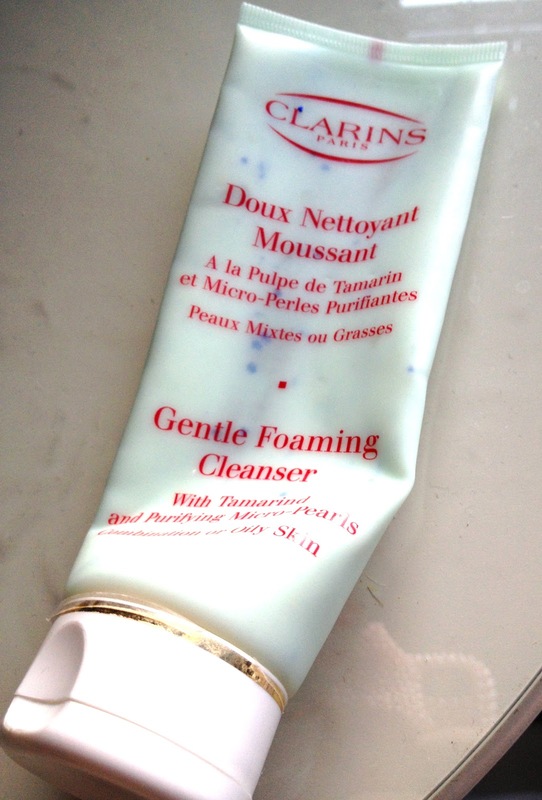 I had unhappily using Liz Earle for a few months with no results, and wanted my skin to look great for my trip to the Netherlands with my Mum that month, so I decided to try Clarins. First, my skin. My skin is combination, I can get a teeny bit of shine during the day but that's it, I'm also acne prone and I get horrible clogged pores. My skin is also dehydrated even though I drink a shedload of water. Clarins is a brand I had never really been a big fan of, I thought they were a bit boring and outdated on the make up side so I never really had a good look at them, but my Mum suggested to me that we have a look and I could see if there was anything I'd like. The first thing I loved was that they gave out samples! I've wasted so much money on loads of products that didn't work for me or made my skin worse, so I was so happy to get samples of the products. The sample of this cleanser lasted me about 4 days and honestly, using the products together made a huge difference to my skin! it was amazing, my skin looked brighter and clearer almost straight away, I've tried different things since and this is definitely what keeps my skin clear. The cleanser is a thick cream consistency, it also has these little blue beads that 'pop' when you rub it into your skin, they're not at all exfoliating. I just rub the cleanser onto my dry face until the beads have popped, then add a little water to allow it to foam up, and remove it with a flannel or muslin cloth (whichever, I don't mind!). After my face feels super clean and all make up is removed, although I do always cleanse twice, this tube has lasted me since April and is starting to get super hard to get it out of the tube! It's amazing and makes such a difference to my skin, my skin is clear 80% of the time now, when I always used to have at least one or more spots. I've tried another cleanser since and my skin started to break out again, I'm so sure that it's this product that keeps my skin nice. The only thing that it doesn't do, is help with my horrible congested pores, but I'm yet to find anything that does, so if you have any recommendation for a product that helps, let me know!